We offer a wide range of HEAVY MELTING STEEL scrap to our clients. The HMS is designed as per the industrial standards and are superior in quality. The major types which we are providing are listed below. · ISRI 200 (HMS 1) : Wrought iron or steel scrap ¼ inch and large in thickness. We offer an extensive range of heavy melting steel scraps that serve the raw material requirement of varied metal manufacturing industries. The range consists of scraps obtained from demolished structures, plants, equipments, buildings, etc. We are one of the leading in trading of quality HMS Scraps (Industrial Heavy Melting Scraps) that finds wide application in numerous industries. Wrought iron and/or steel scrap, black and galvanized, maximum size 36" X 18". May include all automobile scrap properly prepared. We are supplying Melting steel scrap. crap Form of Alloy Steel Turning Scrap / Ni Turning Scrap / Turning Scrapof End pieces of Bars, Ingots Butts, Round Offcuts, Square Billets, Foundry Type, Blooms, Heavy Weight Scrap, Hollow Bars, etc. We are offering Heavy Melting MS Scrap to our clients. During the year 2005 the promoters of the company has decided to add Steel Melting Shop along with Continuous casting Machine. Megatherm offers complete solutions for Steel Melt Shops for Indian & Overseas Markets. The work will include Project Engineering, Consultancy, Civil Engineering, Supply of Complete equipment, and Supervision of Erection & Commissioning work. World leaders like Nippon Steel use Simplex made Ladles. 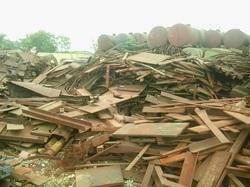 Various Categories Of Steel Scrap Like HMS I, II, Shredded, LMS, Rerollable Etc.